Making the right decision when it comes to hiring a landscaping service should not be difficult. Are you ready to start actually enjoying your outdoor space? It’s time to do some landscaping in Trophy Club, TX. To upgrade your lawn and highlight your gardens were here to help. Exceed expectations. Customer satisfaction is our #1 priority and that’s why we have great customer reviews. From design to installation we will work with you to find the perfect plants to complement your home. Professional and prompt installation. We use only the highest quality sod and plants for installs. We are so confident you will love our landscaping service. You can try before you buy. 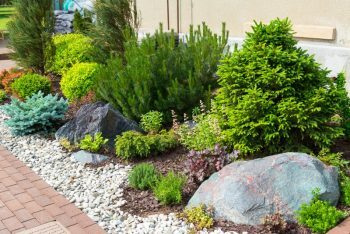 We use a professional landscaping design app to give you an idea of what your plans could look like before you even decide to go through with it.